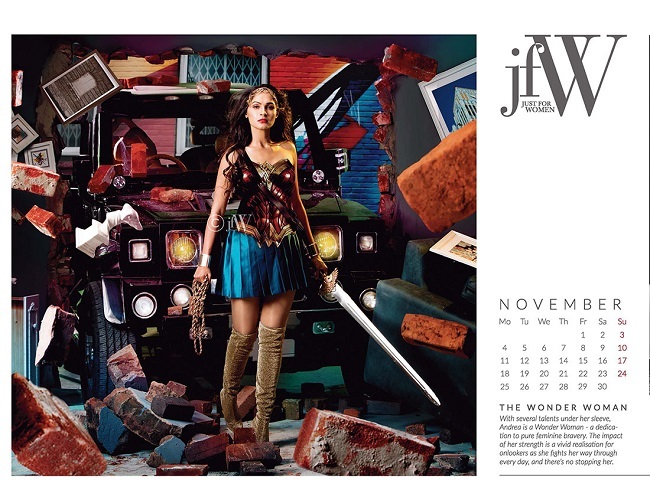 The JFW calendar has six popular women actors - Andrea, Aishwarya Rajesh, Raiza, Regina Cassandra, Taapsee Pannu, and Shriya - in stunning avatars. A warrior princess, sportsperson, superhero or biker are not characters we see our heroines play often. 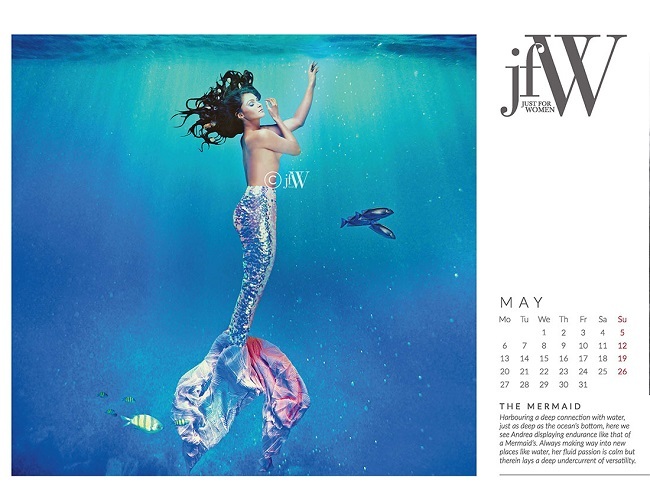 But on JFW magazine's 2019 calendar, we get to see not one but six familiar faces dressed in unexpected roles, some from fantasy, some which could be real. 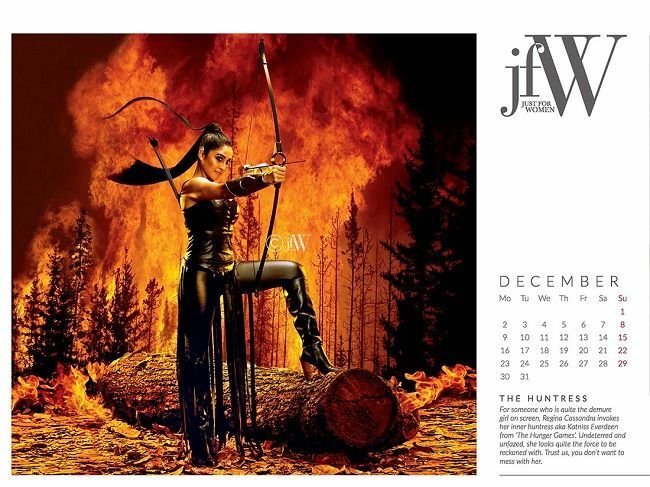 Aishwarya Rajesh, Taapsee Pannu, Shriya Saran, Regina Cassandra, Andrea Jeremiah, and Raiza Wilson feature on this calendar. 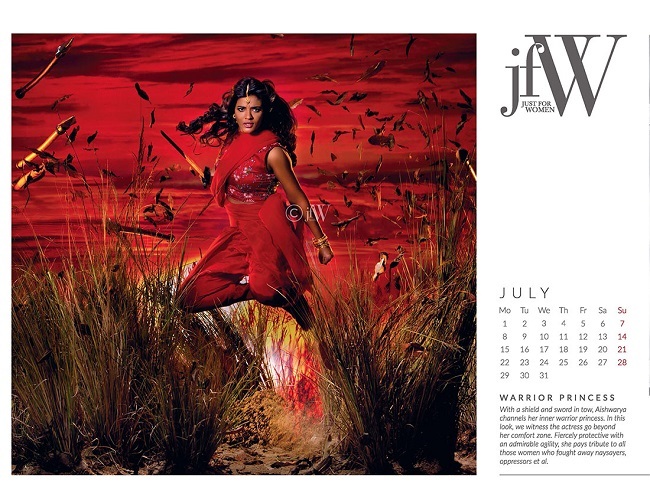 Aishwarya Rajesh appears as a dancer and warrior princess, looking demure in one and fierce in another. Taapsee Pannu rocks the squash player look as well as the Black Widow superhero avatar. Raiza is just as comfortable playing the boss as she is nailing the Cat Woman look. 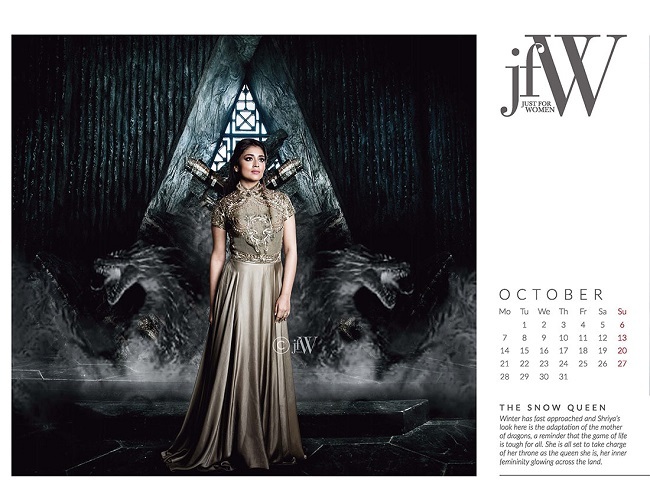 Shriya is whimsical in one picture, and other-worldly in the other inspired by A Game of Thrones. Andrea is beautiful as a mermaid and could give Gal Gadot a run for her money in the Wonder Woman costume. Regina Cassandra is consumed by wanderlust and seated on a bike in one picture and transforms into Katniss Everdeen from The Hunger Games in another. Photographed by Sunder Ramu, the stylists and designers behind the stunning look of the actors are Chaitanya Rao and Shilpa Vummiti. The two of them worked with the actors, merging fantasy and reality to create the effect we see in the pictures. Celebrated art director Rajeevan was behind the sets for the shoot. The pictures have gone viral after the actors shared them on their social media pages, with fans gushing about how different and powerful they look. 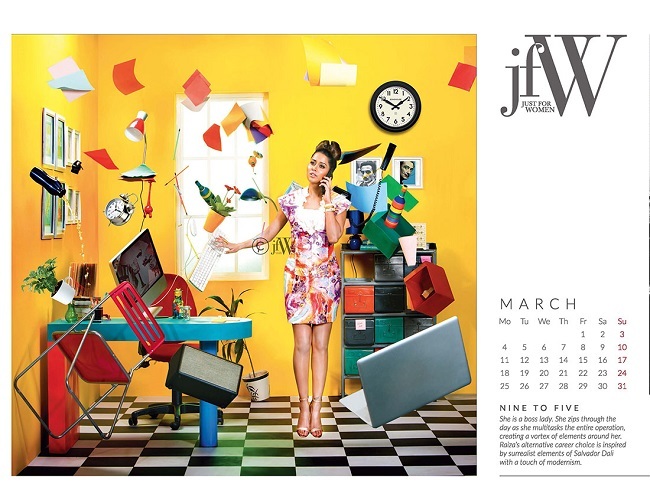 Commenting on the calendar, Bina Sujit, Editor-in-Chief, JFW said, "We had the best of talents working behind the scenes for this calendar. It was exciting coming up with interesting concepts for each artist and planning the elaborate and colourful sets to give the calendar a one-of a kind look. It was a challenge putting it all together, but the amazing images make it all worth the effort."